It is the responsibility of any gun owner to keep their firearms safe and secure when they are not in use. This means practicing safe gun storage techniques to prevent unwanted hands from ever having the opportunity to handle a gun. Those hands may belong to a child, irresponsible adult or even an intruder. 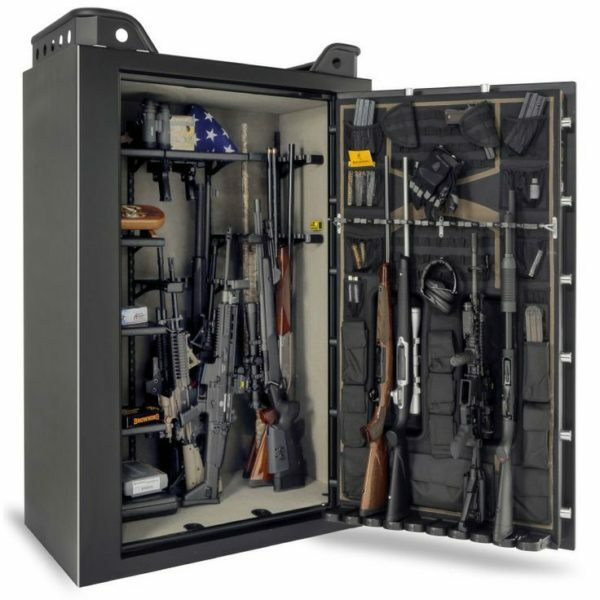 Luckily, there are a wide array of available gun safe options that offer both a secure place to store weapons while still offering quick access for emergency situations. Now, we’re going to jump into why you need a gun safe, and then go into more depth on each of our recommendations. Why Do I Need a Gun Safe? This is a question that every gun owner has probably asked themselves at one point or another. Purchasing a gun safe can sometimes (wrongly) be seen as a waste of money that could otherwise be spent on things like ammo or even another gun. Its hard to spend money on a gun safe when there are still so many guns you don’t own. However, being a responsible gun owner means sometimes making the right choice instead of the fun choice. As the old adage goes, it is better to be (gun) safe than sorry. Curiosity can get the better of a child even if that child is well-educated on firearm safety, and the bad intentions of unwanted intruders should never be taken lightly. The bottomline is that it is the gun owner’s responsibility to make sure their firearms are used safely, accounted for at all times and kept in secure storage when not in use…and a gun safe is the best way to accomplish all three of those goals. The initial expense of a gun safe is a small price to pay for the safety, security and functionality that they provide. Having the ability to quickly access a securely stored handgun during an emergency situation is one of the most important features to have when considering a gun safe designed for pistols. 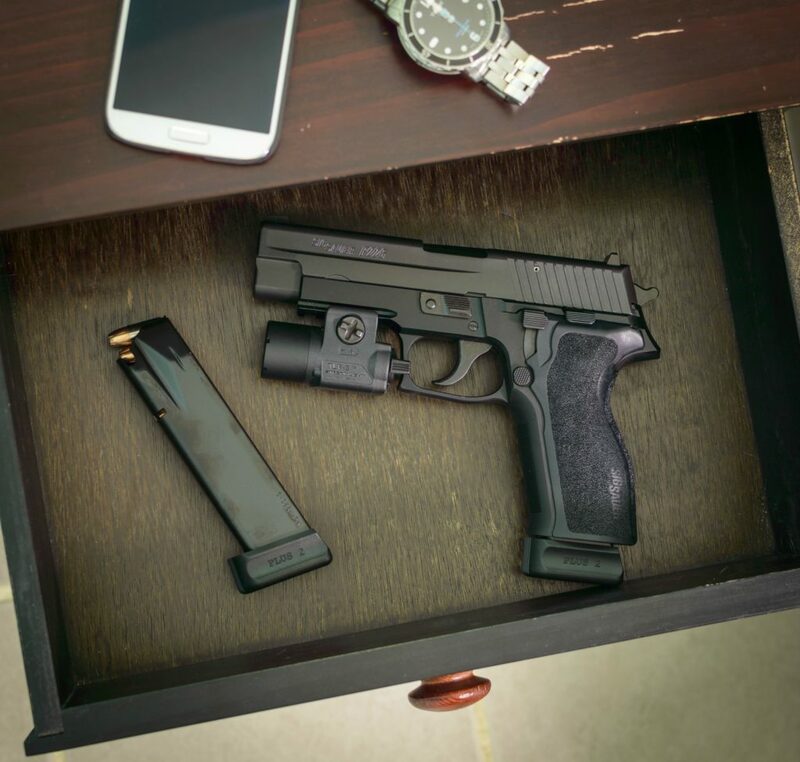 For the sake of this gun safe guide, I’m going to assume that you already know that a nightstand drawer or a box on the top shelf of the closet are not good pistol storage options. Its a Hollywood staple, but its a bad idea…and illegal in many places. Not only are they not secure, and magnets for curious youngins, but they also can restrict quick access if an emergency situation arose. These handgun safes will keep your handguns stored securely, but in a way that lets you get to them the moment you need them. 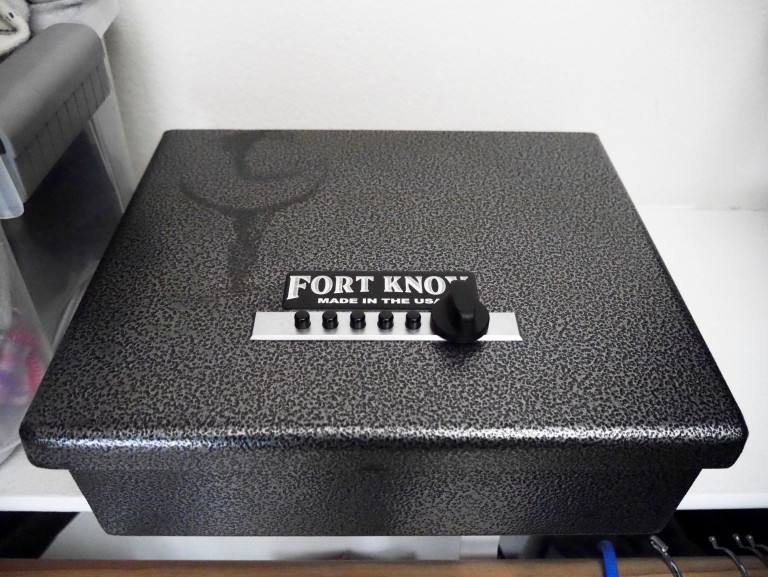 The Fort Knox FTK-PB Pistol Box Handgun Safe ($215.00) from Fort Knox Vaults is an ideal solution for many gun owners. 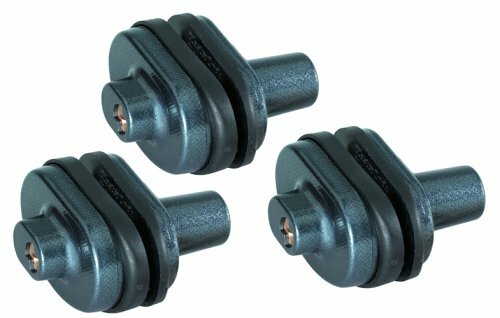 It features a Simplex locking mechanism and is built from heavy duty 10 gauge steel. 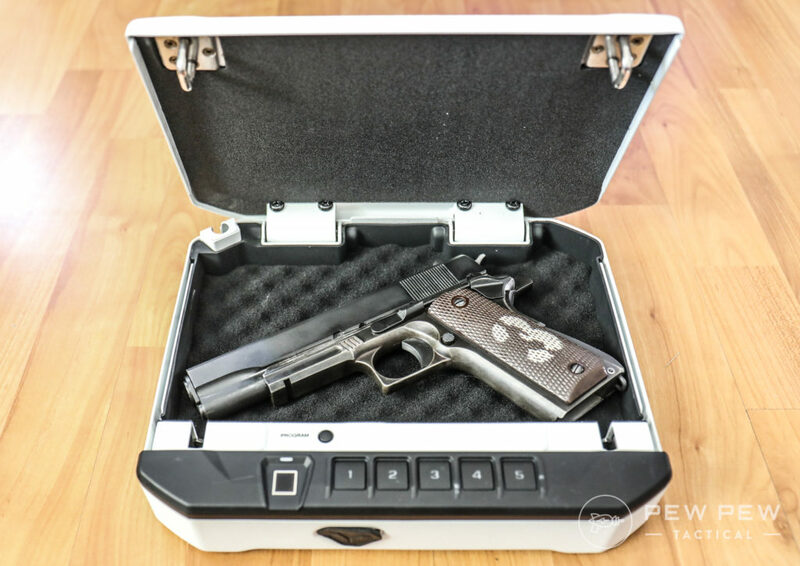 This handgun safe relies entirely on mechanical function so there is no need to worry about electronics of any sort, which can be a concern for some people. 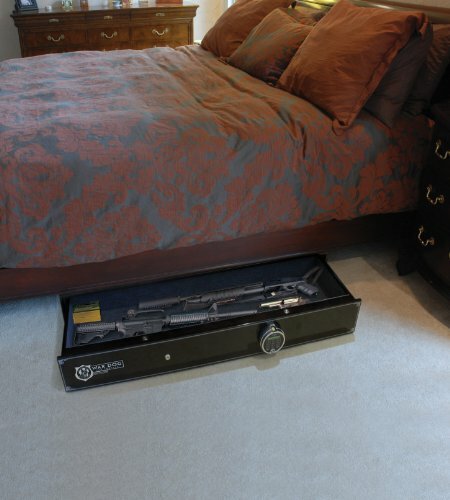 I’ll keep this section short because we’ve already chosen the Fort Knox Pistol Box as our best bedside quick-access gun safe. You should definitely go check out that review if this is something you’re interested in. What’s your take on the Fort Knox? For gun owners who don’t mind the idea of using a gun safe featuring electronic technology, the Stack-On Quick-Access Personal Safe ($148.29) is a good option. Featuring a three to eight digit combination and a backup key in case the combination is forgotten or the electronics fail, this gun safe has enough room to hold most handguns along with an extra magazine or two and a flashlight. The great part about this safe is that it comes pre-drilled for surface mounting which further increases the security…its a lot harder to steal a safe that’s bolted to the floor. Its a little heavy at 12 lbs empty, so you may not want to haul it around in your range bag, but its great for having handguns safely stored, but readily available in the home. For gun owners who don’t want to break the bank, but do want to keep their gun secure GunVault NV200 NanoVault 200 with Key Lock ($29.50) is a decent option. It features a key lock system and a memory foam interior. It comes with a 1500 pound test security cable to securely attach it to a variety of objects. 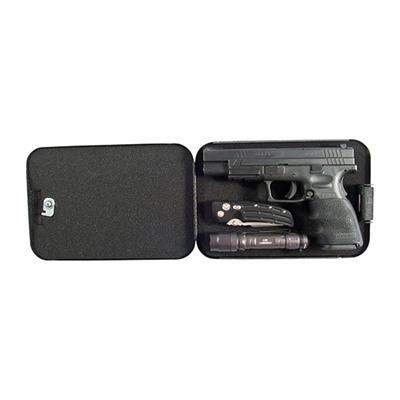 This handgun safe also meets TSA airline firearm guidelines so it may also be used for travel in checked bags. Please do not try to board an airplane with this, or you’re going to end up answering a lot of questions. Gun safes that properly utilize high-quality biometric scanners can be some of the quickest to get into…provided you’re an authorized user. The Liberty HDX-250 Smart Vault ($229.99) offers access to the contents within one second when it is connected to AC power. This safe features an auto-opening door that opens once an approved fingerprint is detected, can hold up to 15 different fingerprints, is constructed from heavy duty 14 gauge steel, and is made in the USA. I like this one a lot for home storage in an environment where you want several people to have quick access to a firearm. Plus, its made by Liberty…aka the Gold Standard of firearm safe manufacturers. I’m sure that we all have spent some time at the sporting goods stores admiring all the high-end gun safes that are on display. They are impressive to look at, and its easy to imagine a safe full of firearms at the ready, but stored in a fire-resistant and virtually burglar-proof steel box. Although the prices on these bad boys can cause a little bit of sticker shock, full size gun safes are a great investment if you cherish your guns or if you have a valuable rifle collection that you want to protect. Luckily for gun owners, full size safes are not the only solution for storing rifles and other long guns safely and securely. 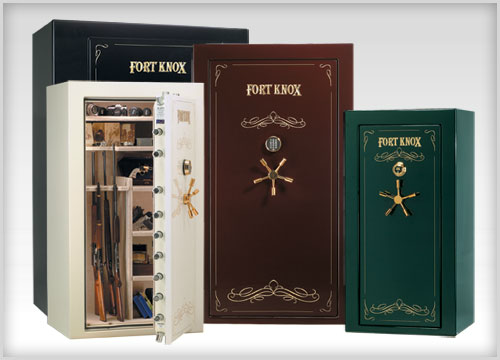 Take the Fort Knox PB6 Shotgun Safe ($399.00) for example. This long safe features the sturdy Simplex lock style and is constructed from heavy duty 10 gauge steel with a 3/16” thick plate steel door. This is a great option for someone who doesn’t have a large collection of long guns, but still needs a secure storage option. It can be difficult to store AR-15’s or other tall guns in this one, so its best suited for shotguns and more traditional rifles without a bulky external magazine. Stand-up gun safes are not the only secure option in the rifle safe realm. 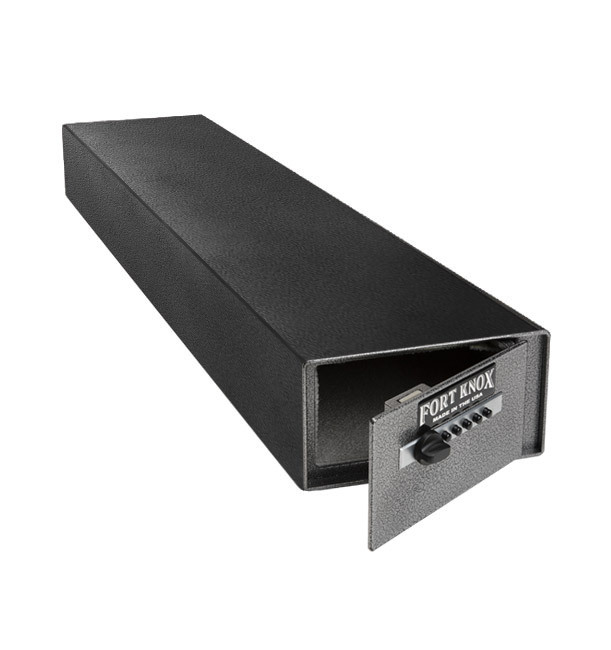 War Dog Gun Safes makes drawer-style safes that are perfect for fitting under a bed or in other spaces where a full-size stand-up safe would be impractical. Made in the USA, the War Dog Platinum Home Defense Safe ($2943.00) is built via heavy-gauge one piece steel construction and offers several lock options along with a limited lifetime warranty. These safes can also be stacked for additional storage space or even mounted in the trunk or cargo area of a vehicle for on the go security such as during trips to the range or hunting trips. 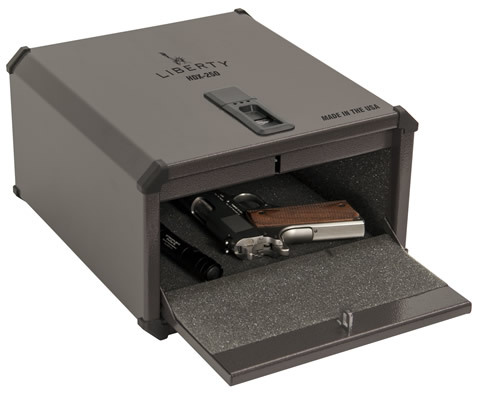 You really can’t go wrong with a gun safe from Liberty. They are made in the USA, come with a lifetime warranty and offer the kind of construction that makes them one of the most secure ways to store a gun collection of almost any size. 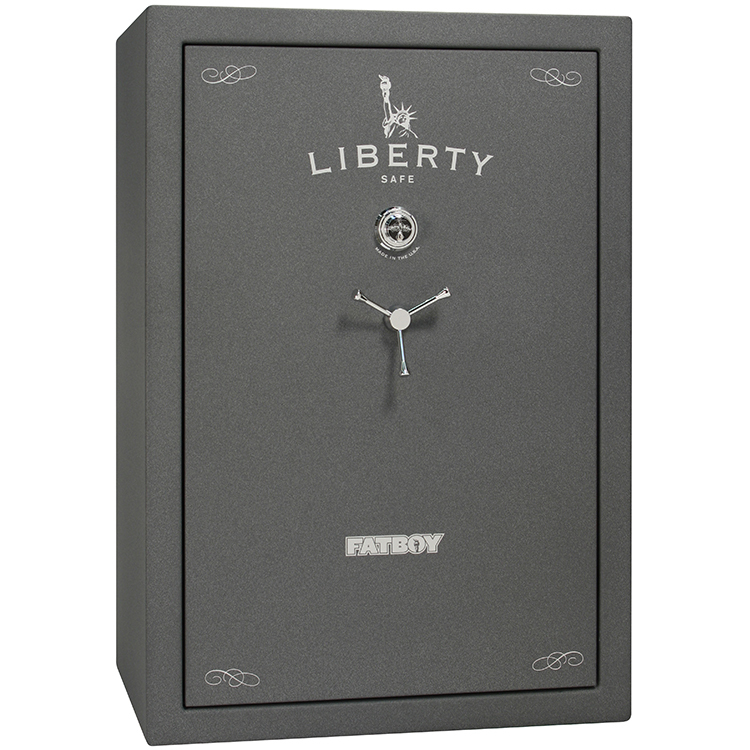 The Liberty Fatboy (Starts at $1,999.00) can hold up to 64 guns, features a UL listed lock and a 5” thick door. No one is getting into this safe unless you want them to. Keeping guns safe and secure during transportation is another important factor to consider. The War Dog safe listed above makes a great vehicle safe, but may be overkill for people who aren’t making very frequent trips to the range. A mobile gun safe solution also depends on whether you are simply transporting guns or want your handgun secure but still ready to use in the event of a critical or dangerous situation. 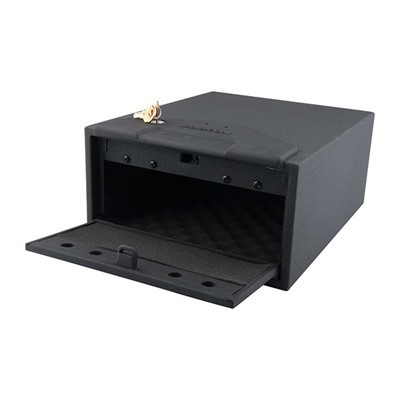 This GunVault SpeedVault SV500 ($144.00) is a handy option for people who want to have quick access to their firearm from the driver’s seat in case the need for it arises. 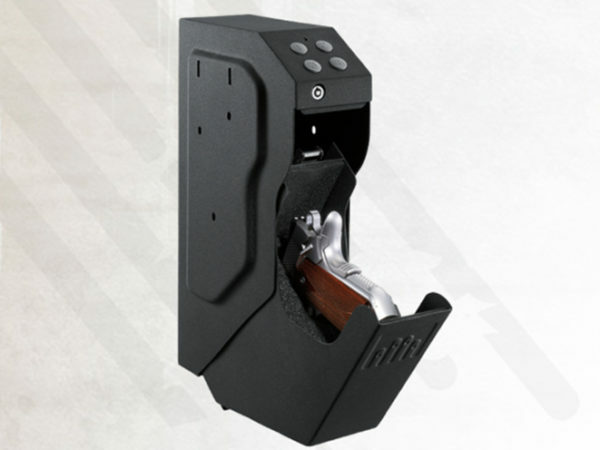 Unlike other handgun safes, this one is configured in such a way that almost resembles a holster once open. This gives gun owners the ability to quickly draw their weapon once the biometric safe is open. For people who only occasionally travel with their firearms, such as hunters or recreational shooters, a simpler solution may be desired. Masterlock is a well-known brand, and these Master Lock Gun Locks ($21.45) are a cheap solution if you need to secure your guns on the go. Trigger locks are a great option as a simple solution that can secure a firearm on the cheap. These are certainly not a secure option for storing guns around the house, but they are a great additional level of safety when you are out and about. We definitely don’t recommend putting one on a gun you may need to use quickly though. The GunVault AR-01 MagVault ($29.99) is another great solution that is ideal for AR-15 owners. This innovative device fits inside the magazine well of AR-15 rifles and locks in place while preventing rounds from being able to enter the chamber. 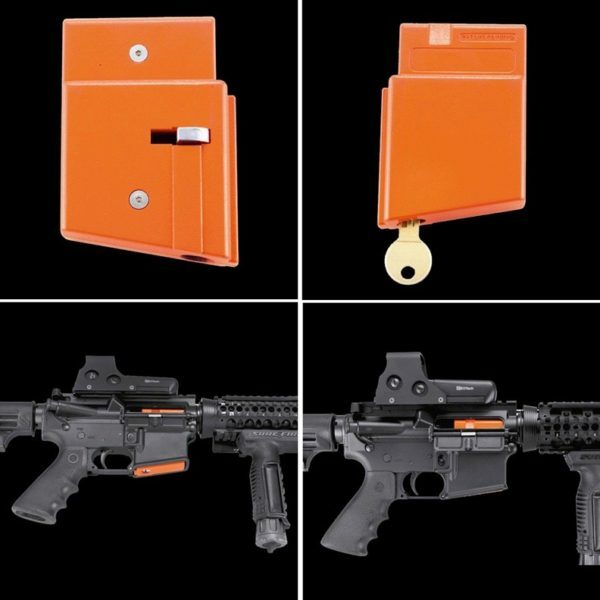 This is another great affordable option for AR-15 shooters who make frequent trips to the range or just want to add an additional security feature to guns that are already locked away in a safe. Gun safes built and sold by gun safe companies are not the only way to secure your firearms. Traditional wall safes are plenty big enough to hold handguns while also allowing owners to store other valuables as well. While they won’t offer access quite as quickly as a handgun vault located at your bedside, they can still be opened with haste if necessary. Used safes, both traditional and of the gun-specific variety, should also be considered. Check estate sales, storage unit auctions, and other similar events for safes on the cheap. Fort Knox Safes aren’t an uncommon sight at estate auctions and can provide a great value…even if empty. This option can usually lead to much lower prices if you are willing to put up with the hassle of having the safe relocated to your home and even possibly having a new lock put in by a qualified locksmith. We got our hands on a Vaultek VT20i ($249) and VT10i ($229) which are fingerprint + Bluetooth enabled safes. 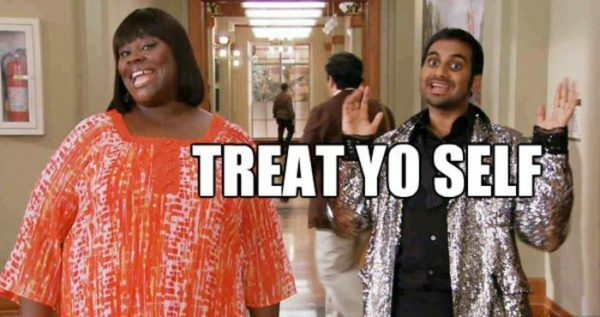 Our full review is here. But they are another great option when at home or traveling since they are portable, robust, allow multiple peoples’ fingerprints, have a tamper recognition system, and come with a cable attachment. No matter what your gun security needs are, there is sure to be an ideal solution for safely storing your firearms available to you. Hopefully this gun safe guide got you pointed in the right direction. Remember that the responsibility of safely storing firearms falls directly on the gun owner. Don’t wait until after the fact to protect your guns, and your family. Be proactive and get your guns stored safely as soon as possible! Have a question about the best way to store your guns? Got a safe you think we should check out for the future? Drop us a line in the comments below! Handgun-style security boxes seem to come only in skinny and skinnier. Traveling in an RV with several people, it’s not uncommon to need a security box that can accommodate two or three handguns, plus other valuables, on occasion (like traveling through an ultraviolet state). I have a foot-cube top-opening storage space and would welcome something with some generous height (and not a great deal of weight), but I can’t find anything remotely suitable. I am looking for a home safe which would hold 2 glocks plus at least 2 clips. Is there any safe out there that can do this? I went with the MonsterVault Under Bed Vault drawer. (About $700). It gives room for long guns, shotguns, and pistols all in one drawer. It has an electronic push button lock with a key that will also open it as backup. I wish it was a mechanical lock but otherwise very happy with it. I unlock it whenever I’m home and definitely before I go to bed and then lock it when we leave the house. I have a Gunvault MagVault and have been happy with it. Unfortunately after I changed to Bullet Button 2 I can no longer use it. Contracted Gunvault people, no joy.